I cringe to admit this, but I used to wonder, “Why don’t they just get over it?” when I’d see someone grieving for longer than I thought was warranted. While my co mpassion was generous, it had an expiration date. That was before an incredible four-year period of loss that included my marriage, three dear uncles, a close family friend, a beloved pet, and my father. During this time of multiple losses, grief moved in and unpacked its bags. And whenever I thought I was “done” with the grief, a new wave would surface for feeling and releasing. I’ve never been one to suppress my tears, but I didn’t anticipate their seemingly endless flow as I mourned these endings, especially my divorce. 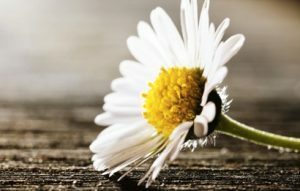 Grief has literally brought me to my knees at times, forcing me to surrender my own agenda, slow down and pay attention—often, without warning. Some days, grief is simply exhausting, and I discovered that there’s a reason for this. What we are responsible for, says Futuronsky, is creating the circumstances in which integration can happen, which may mean quieting our minds and lives to make space for the grief process. The most important thing, Futuronsky says, is to give ourselves full permission to be exactly where we are on our own unique grief journey. This may prove challenging—not only to us, but also to those who care about us, especially if our grieving makes them uncomfortable. I’ve seen that times of loss can include the loss of other relationships, as people may shrink from those who are grieving. In the wake of my many losses, I heard from friends and loved ones who said, “I hope you’re keeping busy,” or “Focus on the good in your life,” while others told me, “I’m praying for you,” or “I’m coming over with Kleenex.” I learned about the many ways people meet and move through grief, and learned to honor my own, which include giving it lots of space and time. In truth, at times I’ve felt a strange sweetness in the murky depths of my sadness. As my heart continued to break open, I sensed more room in there for tenderness, appreciation and love. For that is what we’re doing when we grieve—mourning the loss of something or someone we loved, and thereby honoring love itself. Self-compassion and patience are therefore essential when grieving, as is support—especially from those who’ve been there. Two books that kept me company during this time were Dark Nights of the Soul, by Thomas Moore, and Safe Passage, by Molly Fumia. Both authors promised that I could trust grief to carve deeper channels in me for a fuller experience of life, if I let it. I also learned that denying grief can cause anxiety, depression, addiction, compulsive behavior, blocked creativity and even chronic physical ailments. “If you get grief wrong you get a lot of things wrong in life,” said Fully Alive author Tim Shriver in a recent interview. “You hide from a lot of pain. You hide from a lot of frustration.” A member of the Kennedy clan, Shriver said he grew up not knowing how to face or transform the inordinate amount of loss in his family. “I think learning how to express grief, move through it and internalize both the pain and healing is a real process of growth and change,” he remarked. In another helpful book, Honoring Grief, author Alexandra Kennedy recommends setting aside a special place and time each day to sit with our grief and honor the person or part of life that we’ve lost. I’ve done this at the altar where I pray, letting photographs trigger healing words and tears. Journaling also helps enormously, giving voice to the pain, and focused therapy can be a life saver during times of loss. I’ve gotten better at trusting grief, my unpredictable and sometimes inconvenient companion, for the wise healer that it is. Kim Childs is a Certified Life and Career Coach specializing in Positive Psychology, creativity and midlife transitions. Click here to learn more and schedule a free initial consultation in person or over the phone or videoconferencing.